Superb grass tee practice facilities offer the keenest of golfer the opportunity to hone and practice their skills during their time at the resort. 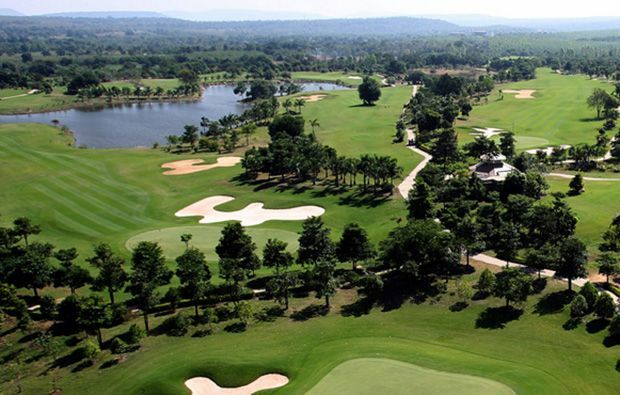 The course was designed by Major Veeryot Pethbuasak and was opened in 2006. 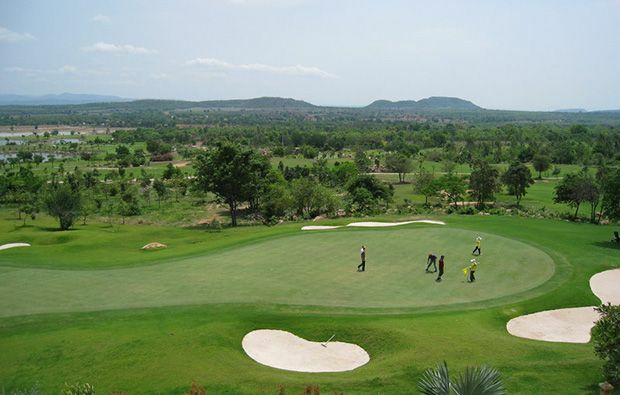 Designed to blend into the resort perfectly the course offers golfers of all levels the opportunity to test their skills against the gently undulating and interesting design. Various tee positions mean the course can range from 6378 metres right up to the championship length of 7357 metres from the black tees. One extremely interesting fact about the design of the golf course is the inclusion of a tree in the centre of the fairway on many of the fairways, and although they present somewhat of an obstacle to some golfers the majority will be able to navigate their way around the without too much trouble, in fact the trees can generally be used as a great target line. The golf course design includes its own defence system in the extremely difficult Tifdwar greens. The grain of the greens make reading the lines a near impossibility, but if you take note of your caddy, which as with many of the courses in the area are female, you should have a chance of holing more than the occasional putt. Some of the holes worth a mention are the 5th, a par 5 of 558 yards that doglegs around the lake. 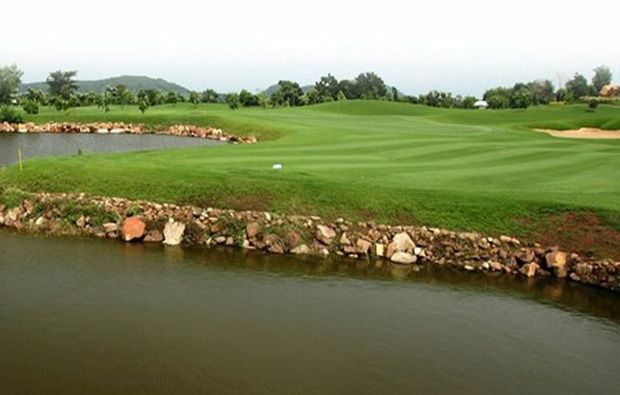 Although relatively long on the card, the green is reachable in two, and golfers are almost goaded into going for the green with a treacherous layup area protected by water and a jungle. The 13th, considered to be the hardest on the course is a tough par 4, long with accuracy from the tee and a perfectly struck approach to find the green which is protected to the front and left by the large water hazard and to the right by a bunker. Walk away with a par and you will be more than happy with your achievement. Of the par three´s the most picturesque is probably the 14th, at 194 yards from the black tees the hole is framed by the lake and trees to the left, a stream that cuts across the fairway short of the green and bunkers surrounding the green. At stroke index 7 the hole is perhaps easier than it looks, but a well struck long iron or fairway wood is required if you hope to find the green. 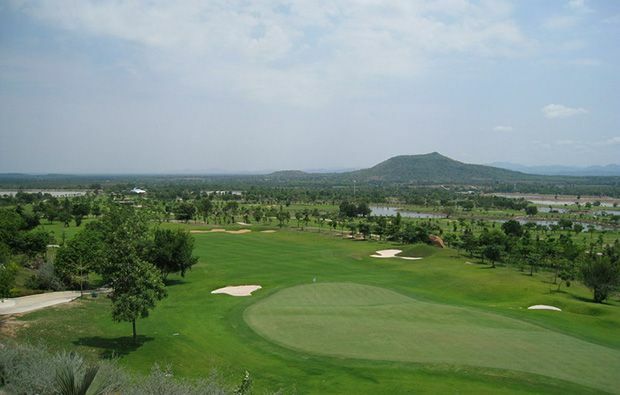 Overall the golf course is well worth a visit and although still relatively young the course presents itself very well, with superb customer service and hospitality. 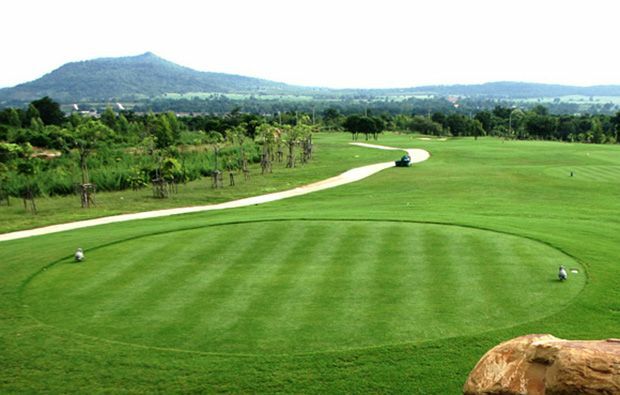 Narai Hills Golf Resort has different Services to offer. Choose a date and number or players to see the rates.